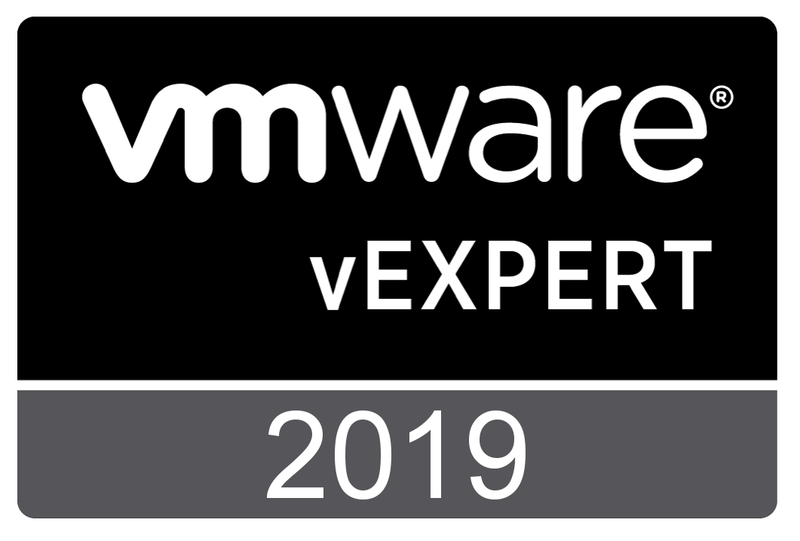 This week, VMware released the new VDCA550 exam. This exam also qualifies for the VMware Certified Advanced Professional 5 – Data Center Administration (VCAP5-DCA) Certification. So, now two exams qualify for this certification, the other being the VDCA510 exam that has been around since July 2012. The difference between those, the oldest exam is based on vSphere 5.0, the latest is based on vSphere 5.5. With a new exam comes a new Exam Blueprint. Both blueprints can be found here. Although the Exam Blueprint for the VDCA510 exam is currently on version 2.9, there are no changes in the Objectives since version 1.1. So what has changed in the Exam Blueprint for the VDCA550 exam? Section 1.2, The number of live lab activities (VDCA550; 23 and VDCA510; 26). Section 1.6, The Time limit has changed (VDCA550; 180 minutes and VDCA510; 210). Both an additional 30 minutes for non-native English speakers. Section 1.12, the environment available during the exam is described in greater detail in the VDCA550 Blueprint. Also, the vSphere 5.5 environment consist of five ESXi 5.5 hosts, two vCenter 5.5 Servers, vCOPS 5.6 Foundation, vCenter Orchestrator 5.5 and vSphere Replication 5.5 appliances plus an Active Directory domain controller and shared storage. Section 1.13 presents an overview of the documentation available during the exam; links to the actual documentation are included in the Blueprint. You won’t find this overview in the VDCA510 Blueprint. Under the Objectives, all “Knowledge sections” have been disappeared in the VDCA550 Blueprint. Although some parts moved to the “Skills and Abilities” section. The VDCA550 Blueprint does not have a separate Troubleshooting section. Some troubleshooting objectives have been moved to other objectives. The VDCA510 Blueprint has a total of 9 sections; the VDCA550 Blueprint has 7 sections. New Skills and Abilities been marked as “NEW”. Other Skills and Abilities moved to a new location, e.g. “Configure Software iSCSI port binding” is now part of Objective 1.1. But in the VDCA510 exam it was part of Objective. 1.3, so it has been marked as: “VDCA510 Obj. 1.3”. There is no more Objective 2.4. There is no more Objective 3.4. The first four Skills and Abilities are identical to those in Objective 4.2!!! This objective is all NEW. The first four Skills and Abilities are identical to those in Objective 6.1!!! VDCA510 Blueprint , Section 6 contains 5 objectives covering troubleshooting skills on CPU, Memory, Network and Storage. However, imho one should know how to troubleshoot a vSphere environment. VDCA510 Blueprint, Objective 7.2 “Configure and Maintain the ESXi Firewall”. VDCA510 Blueprint, Objective 8.2 “Administer vSphere Using the vSphere Management Assistant”. VDCA510 Blueprint, Objective 9.1 “Install ESXi hosts with custom settings”, aka the ESXi Image Builder. VDCA510 Blueprint, Objective 9.1 “Install ESXi Hosts Using Auto Deploy”. I hope this is useful, as always, I thank you for reading. This entry was posted on Thursday, April 10th, 2014 at 20:31 and is filed under Training. You can follow any responses to this entry through the RSS 2.0 feed. You can leave a response, or trackback from your own site.